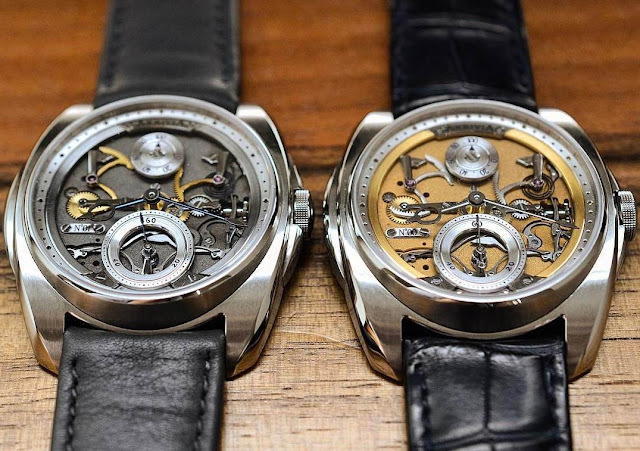 After a series of tourbillon timepieces that you can re-discover following the link at the end of the article, AkriviA presented the first non-tourbillon model of their collection: the AK-06. 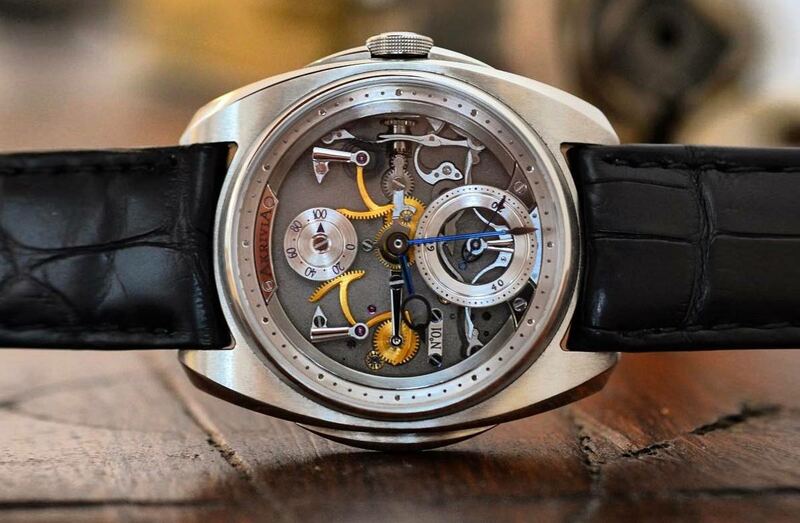 Rexhep Rexhepi, the founder of the Geneva-based watchmaker, explained that with the AK-06 he wanted to enhance one of the most intimate moments for watch enthusiasts: the winding of the watch, when human energy is actually transferred to the movement. 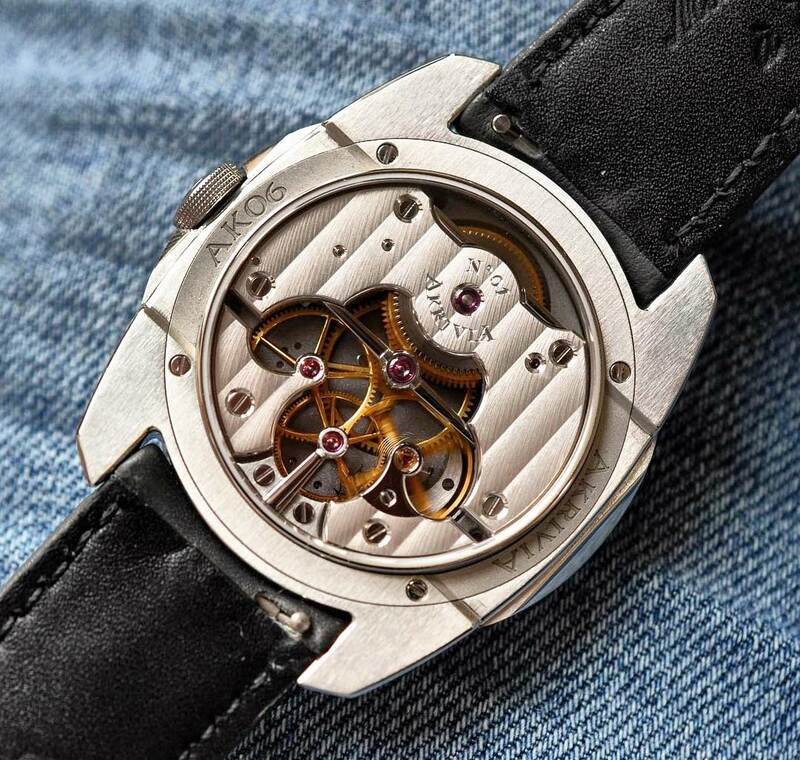 Since the power reserve and hand setting mechanism are showcased on the dial, with the AK-06 the owner of the watch can see the mechanical parts involved in these functions in action. The round sub-dial under the AkriviA nameplate is the power reserve indicator: it rotates using a differential gearing to reveal the energy flow over the course of 100 hours of power reserve. A stable and long power reserve is an important component to achieve excellent chronometric results. However, the AK-06 solves another problem that, often overlooked, can be a source of inaccuracies: time setting. In fact, the hand-wound AK-06 movement has a combined stop seconds and seconds reset functionality. 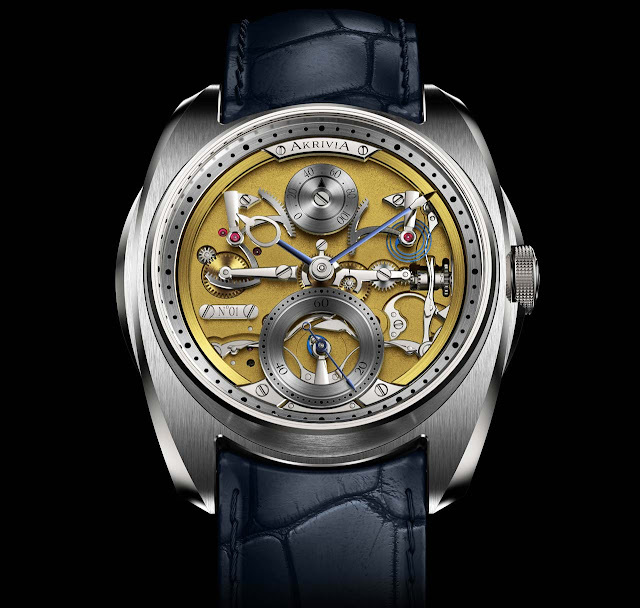 Through the use of a small heart piece, very similar to that found in the resetting mechanism for chronographs, the seconds hand instantly returns to ‘0’ when the crown is pulled out. This makes it possible to be totally accurate when setting the time. The transparent sapphire crystal casebook reveals the winding barrel and its large jeweled pivot. The oversized central wheel on a jeweled bearing is placed on its own bridge, complemented by going train and balance wheel, also on separate bridges. The curves of the bridges, their placement, size and proportions clearly show AkriviA’s aesthetic ideals of symmetry and coherence. Looking closely at the movement, it is possible to appreciate that the anglage created on the edges of all parts is rounded in what is called a bombé cross section. This technique of rounded edges is much more time consuming to produce and cannot be prepared in advance by the use of machines, as it often happens in large manufactures. Even non-visible parts of the movement have been hand-finished to the highest Haute Horlogerie standards. Using 4 adjustable weights combined with Breguet overcoil, the in-house developed variable inertia balance wheel beats at 18,000 vibrations per hour. 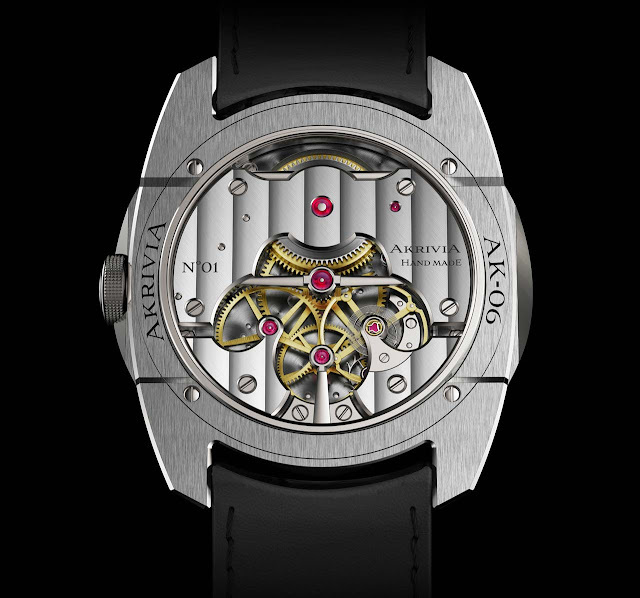 The 41 mm x 9.9 mm case of the AkriviA AK-06 will be available in stainless steel, titanium, rose gold and platinum. The dial was presented in two variations - black and gold - but other finishes and colours are possible on request.